In this comedic thriller, a trio of crooks relentlessly pursue a young American—played by Audrey Hepburn in gorgeous Givenchy—through Paris in an attempt to recover the fortune her dead husband stole from them. The only person she can trust is a suave, mysterious stranger, played by Cary Grant. 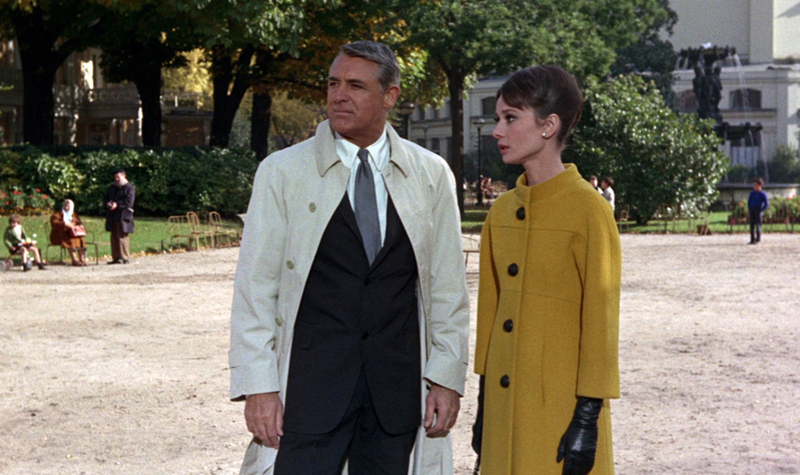 Director Stanley Donen goes deliciously dark for CHARADE, a glittering emblem of sixties style and macabre wit. The musical score by Johnny Mercer and Henry Mancini was nominated for an Academy Award.